Dr. Shank is the best choice for orthodontics. The staff is friendly and efficient. Appointments were quick and never stressful, in and out! My daughters teeth look amazing...love the all the staff at Smithtown Orthodontics. We did research other orthodontists in the area and we felt most comfortable here and we are so happy we did!!! Dr Shank and the entire staff are warm and welcoming. The orthodontic care is professional and extremely competent. A true pleasure from start to finish ...yes! I’m talking braces!! Thanks for visiting the website of Duane S. Shank, DDS. Exceptional smiles begin here! 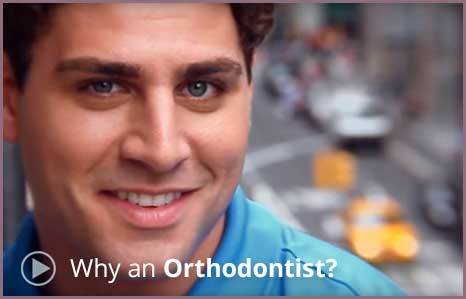 When you visit orthodontist Dr. Duane Shank in Smithtown, NY your smile is our top priority. Our entire team is dedicated to providing you with the personalized, high-quality orthodontic care you deserve with the latest in treatment options with state of the art braces, including Invisalign - the "braceless" alternative to straight teeth. We offer children, teens and adults the most advanced materials, equipment and techniques in orthodontics - many designed to accelerate your treatment. Whether you're seeking subtle aesthetic corrections or looking to make significant changes for a healthier bite and better oral health, our goal is constant - helping each patient achieve healthy, functioning teeth and an inviting smile. An educated patient is a healthy patient! Part of our commitment to serving our patients includes providing information that helps them to make more informed decisions about their oral health needs. This website is a resource we hope you’ll find both useful and interesting; feel free to browse and learn more about our orthodontic practice, orthodontic conditions and treatments, dental recommendations, payments & insurance and more. Be sure to give us a call at (631) 265-3666 or email us with questions to schedule a FREE New Patient consultation. Find out first-hand how we can help you achieve the smile you deserve. In addition to making Smithtown, NY smile, Dr. Shank and his staff proudly serve the surrounding areas of St. James, Nesconset, Hauppague, Commack, Lake Grove, Lake Ronkonkoma, Seldon, Northport, and Stonybrook.